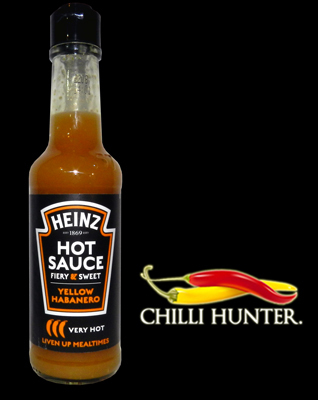 Every 6 months or so Heinz have a pop at the hot sauce market with a new range of sauces, usually mild and dire. This one makes a pleasant change, it actually does have a reasonable level of heat. It has a sharp vinegar bite, with a ever-so slightly sweet after taste. This is heinz’s best yet but still a fair way off most of the specialist hot sauce companies.